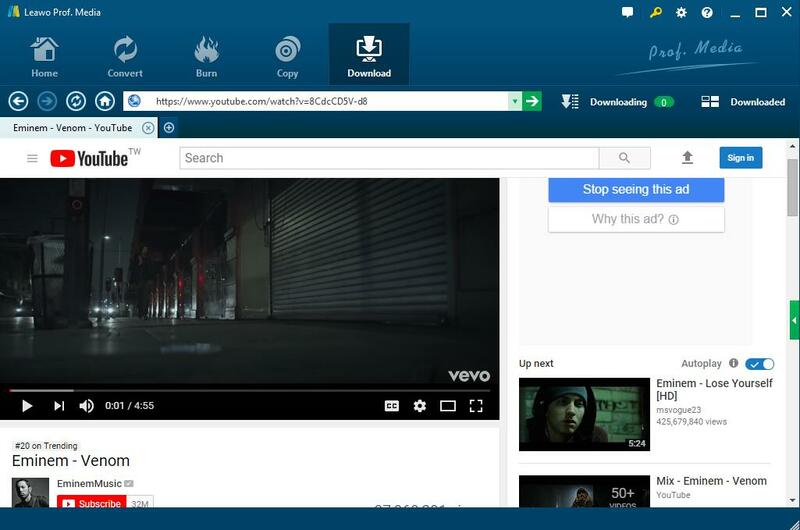 How to Download YouTube Videos in WebM Format? Today, many websites and professional software that allow you to save YouTube videos to your computer. But when you want to get WebM YouTube videos, you need to make a conversion. Most of all, you need to know something about YouTube and WebM. And then follow the guide to know how to make WebM from YouTube easily and quickly. YouTube is actually a popular video-sharing website affiliated to Google, allowing its users to upload, view, rate, share, add to favorites, report, comment on videos, and subscribe to other users when coming across some of their videos they are interested in. Additionally, a wide range of user-generated and corporate media video source, including video clips, TV show clips, music videos, short and documentary films, audio recordings, movie trailers, live streams, and other content, can be all available on YouTube, both from individual and corporations. Videos in MOV, WebM, MP4, MPEG4, 3GP, AVI, WMV, FLV and MPEGPS can be uploaded to YouTube. Then what is WebM format? 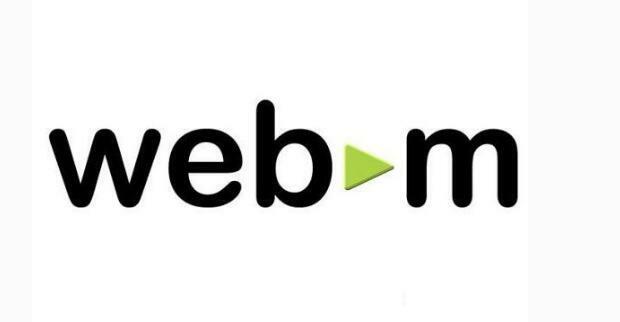 The WebM format is an open-source video format backed by Google, Inc. Stemming from the Matroska (MKV) container format, WebM has been specially developed for the Web, supporting VP8/VP9 video and Vorbis/Opus audio.. And WebM video is supported by all browsers that support HTML5, with no plugins needed except for Microsoft Internet Explorer, which requires WebM MF components. 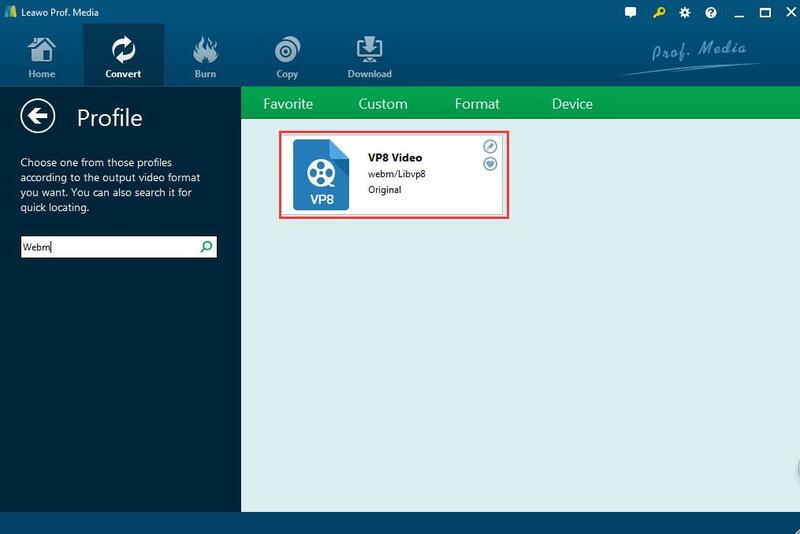 Presetting: It is noted that you can preset where to save the downloaded YouTube videos by click “settings” button and choose an output directory on “Save videos to” label. Click the “Download” tab and paste YouTube URL in the address box to import YouTube videos. You can watch the video directly in the program and it will be detected directly while watching. Click the little green arrow on the right side to open the wait-to-select panel, where you can find the video at different resolutions. Choose the one with the proper resolution you need and click the download icon, Leawo YouTube Downloader will download the YouTube videos right away. If the video offers WebM format, you can download WebM YouTube video directly here. If not, you can download a video in other format you like as well. During downloading, you are able to view the video as you like. 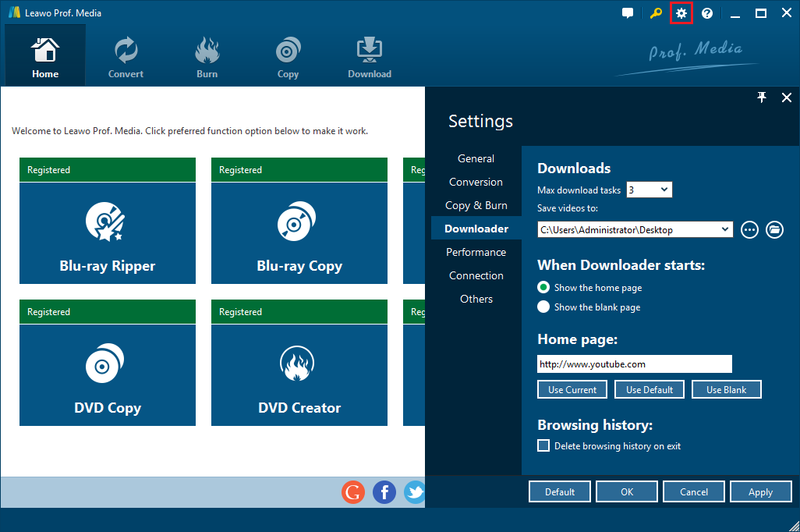 And you can check all the downloading videos on the Downloading panel, while the downloaded videos will be managed under the Downloaded panel. 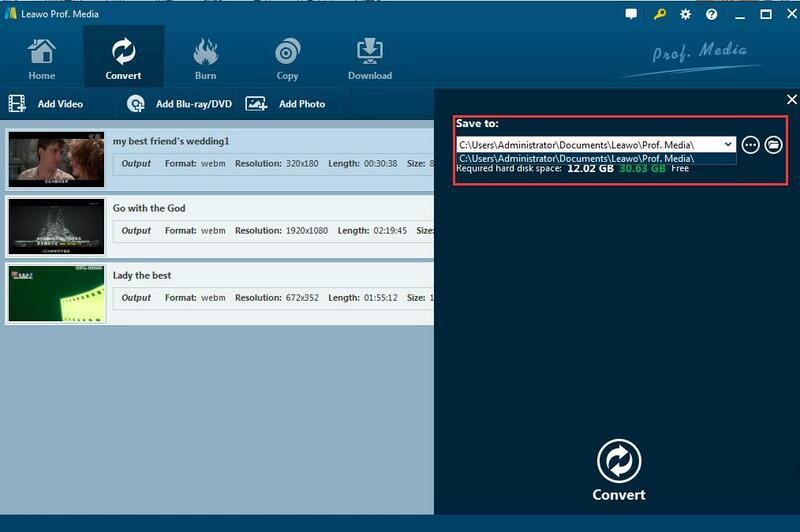 Click Video Converter to enter the converting panel. Click on "Add Video" button to browse the YouTube video from the saved directory and select one or more videos you want to convert to WebM for importing. Or you are allowed to directly drag or drop the video to the program. Click the button named “MP4 Video” by default to pop up a drop-down box where you can choose “Change” button to enter the “Profile panel”. Input “WebM” in the search box on the left panel to find out the format and select it as output format. Return to the main interface, click the green “Convert” button and a sidebar will pop up. You can set the output directory on “Save to” label. Now click the “Convert” icon at the bottom, the program will start converting the video to WebM. And then you will get the WebM YouTube video in seconds. Obviously, it is quite simple for users to get YouTube WebM videos with the Video Downloader when there is a WebM video available on YouTube site. Even if there is no WebM format available, you can also easily make it with the help of WebM YouTube converter. With the guide above, you can never worry about WebM video downloading from YouTube. Anyway, there are also some websites offering solutions to YouTube to WebM online, though time-consuming. You can be absolutely skillful at how to make WebM from YouTube from now on.